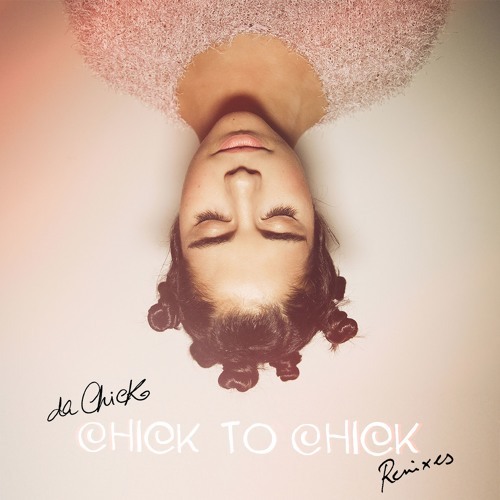 These are the remixes EP for Da Chick's "Chick To Chick". It features remixing skills by the veterans Pete Herbert and Mason and by the new comer **True Blood**. Pete Herbert deliver two bombs - a remix and a piano dub. Perfect summer vibes. You can really spot the mood of his sunset DJ residencies in Bali. In fact, these tunes are perfect to listen to while enjoying the sun fading into the ocean. Dutch producer Mason rendered a hard-hitting 're-clap' for the first single off Da Chick's album "Chick To Chick" transforming it into a club monster. True Blood takes the original's Hip Hop groove giving it a sweet ethereal mood. It's mellow and beautiful Fireplace music for all the lovers out there! “Chick To Chick” is the debut album of Lisbon artist Teresa Sousa. She gathered her friends Moullinex, Xinobi, Cut Slack and Isac Ace to compose, produce and record 11 tracks. The result is a fresh and soulful record, painted with the most refined elements of Funk, Disco and Hip Hop. “Chick to Chick” is simultaneously sunny and dark - It goes from a summery sound to some absolutely beautiful moments of introspection. You might recall names such as Betty Davis, Minnie Ripperton, Chic or even The Fugees. It includes the brand new single “Do The Clap” but also the memorable gems “Cocktail” and “Lotta Love”. Welcome to Heaven!